French champions Paris Saint Germain are reportedly interested in making a move for Liverpool midfielder Fabinho. According to reports in L’Equipe, Thomas Tuchel is planning a January swoop for the Brazilian but could be priced out of a move by Jurgen Klopp’s troops. His contract with Liverpool also runs until 2023. The 25-year-old only arrived at Anfield in January for a reported £43.7m transfer from PSG’s Ligue 1 rivals AS Monaco. Despite that pricey fee, he has found opportunities at Anfield hard to come by. He has only made nine appearances in all competitions since arriving, with only five of those being starts. It took until mid-october for the Brazilian to notch his first minutes in the Premier League as he appeared as a late substitute against Huddersfield Town. In his time in Monaco, he made 233 appearances and scored 31 goals. Ironically, Paris Saint Germain and Liverpool square off on Wednesday evening in a crunch UEFA Champions League clash at the Parc de Princes. Both sides could still top Group C as it stands, whilst either are still under threat of elimination from the competition altogether. 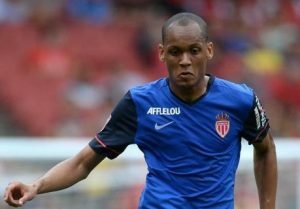 Fabinho is priced at 28/1 with William Hill to hit the opening strike at the Parc de Princes.